The Secret Garden in Concert was performed at The King's Head and Greenwich Theatre earlier this year and it will now tour the UK from October 2013. The show will play at seven venues only visiting the Yvonne Arnaud Theatre (Guildford), Fairfield Halls (Croydon), St Albans Arena, Trinity Theatre (Tunbridge Wells), and Buxton Opera House. It tells the story of Mary Lennox who is orphaned while living in India and has to live with her distant uncle in Yorkshire. She becomes friends with local boy Dickon and begins to take an interest in the mysterious house where she now lives - especially a walled part of the garden which has been locked for many years and which a robin leads her to. But can she unlock the secrets that are held within? Casting has just been announced with Ashleigh Gray as Martha and Ian Knauer as Neville Craven, Alexander Evans and Zoe Curlett are returning as Archibald Craven and Lily, Olivia Hallett and Anastasia Martin are back as Mary Lennox, returning as Dickon is recent THE VOICE semi-finalist Jordan Lee-Davies and Pippa Winslow is Mrs Medlock, Martin Johnston / Ben Weatherstaff, Finlay Banks & Elliot Jones are Dickon and Kirsty Marie Ayers, Danny Whitehead and Colin Zammit complete the cast. Zoe Curlett’s theatre credits include the Les Misérables 25th Anniversary Concert at the O2 Arena, Jellylorum in the European Tour of Cats, Polly Browne in the UK Tour of The Boyfriend, Cosette in Les Misérables at the Palace Theatre, and Christine Daae in The Phantom of the Opera at Her Majesty’s Theatre. Alexander Evans’ recent credits include Captain Watson in Opera North’s Carousel, Masterclass at the Vaudeville Theatre, Father in Ragtime at the Landor Theatre, the UK Tour of Chess and Sheldrake in Sunset Boulevard at the Watermill and Harold Pinter Theatre. Ian Knauer has covered the roles of Sam and Harry in the Broadway and US Touring productions of Mamma Mia!. Other credits include The Great Gatsby at Riverside Studios, Steel Peer at the Union Theatre and Mother Goose at Coventry Belgrade Theatre. Ashleigh Gray covered and performed the role of Elphaba in Wicked at the Apollo Victoria Theatre. Other recent work includes the UK Tour of Momentous Musicals, West End Men at the Vaudeville Theatre, the UK Tour of I Dreamed a Dream and Betwixt! at Trafalgar Studios. Jordan Lee-Davies was recently a finalist in the second series of BBC talent show The Voice. Recent stage work includes Alan in Bare: The Rock Musical at the Union Theatre. Pippa Winslow has appeared as Phyllis in Follies at the Yvonne Arnaud Theatre, Miss Pross in A Tale of Two Cities at Charing Cross Theatre, Desiree in A Little Night Music at the Yvonne Arnaud Theatre and covering the role of Madame Giry in the UK National Tour of The Phantom of the Opera. Martin Johnston’s stage credits include Henry Potter in the UK Tour of It’s a Wonderful Life and Reverend Shaw Moore in Footloose at the Novello Theatre. TV credits include The Tudors for HBO and Criminal Justice for the BBC. 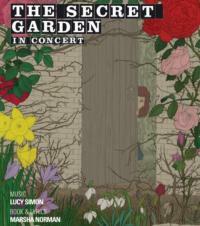 The Secret Garden has music by Lucy Simon and a book and lyrics by Marsha Norman. 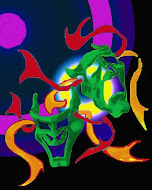 It is directed by Matthew Gould with musical direction by David Keefe and casting by Benjamin Newsome. It is designed by Franciso Rodriguez-Weil with lighting by Tom Kitney and sound by Kirsty Gillmore. It is produced by Aria Entertainment and Knockhardy Productions.